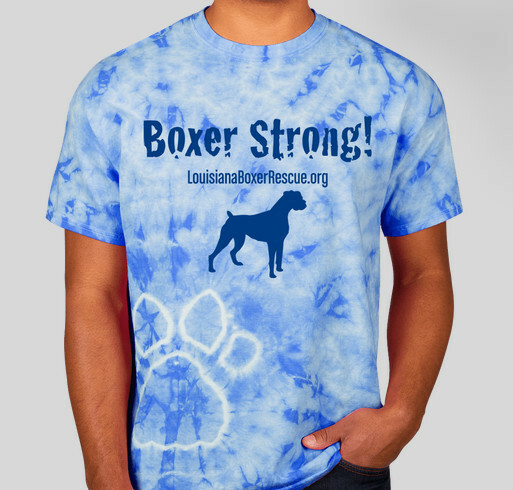 Help Support Prince the Boxer - Louisiana Boxer Rescue! Prince then named Vapor was found New Year’s day by a good Samaritan, he was brought to Cara’s House \ Ascension Parish Animal Shelter. The workers and volunteers at the shelter reached out to us, we gladly took him in. Prince has a really bad case of Demodectic Mange, which has caused most of his fur to fall out. He had several cuts, and abrasions on him as well as being heart worm positive. He is extremely emaciated, basically just skin and bones, as well. When he came into our rescue he would just lay in the back of his crate barely moving, scared to death, and un-trusting. He is receiving treatment for the mange and will be going through heart worm treatment once he is healthy enough at our vet clinic. Currently he is learning to trust people again and is slowly staring to regrow his coat and gain weight. He will soon be the happy healthy boxer he deserves to be. Everything made from this campaign will go directly to the care of Prince and the other boxers currently in our Rescue. Please follow us on Facebook to get updates on Prince. Thank you for your support. I'm ordering another shirt for my daughter. We both love boxers!! We are a Boxer family and always like to support the LBR. I adopted my sweet baby from LBR. I love this organization. Get well soon, Prince! Share Why You Support "Boxer Strong!"